I'm aware that some folks firmly believe there are some kind of links with Bigfoot/Yowies/Hairy Folk and Unidentified Flying Objects (UFOs). and have read reports here and elsewhere of similar. Re: The Link Between 'Bigfoot' and UFOs? Nice one Shazz! Someone was telling me about this or a similar incident recently. He also said he had read about some remote viewer who was asked to locate " bigfoots" for some organization. When the viewer located the bigfoots, they were in a huge metal carrier ship in space and being dispensed by aliens to earth by beams or smaller craft.. i cant remember which. There's also the report from Sherman ranch of 2 men witnessing a bigfoot entering a UFO. Theres heaps of ufo/ bigfoot reports. Its just passed over but really does make sense in regards to their supposed abilities, lack of bodies/bones/ evidence etc. Its the sort of thing witnesses would keep to themselves. Like having a yowie or ufo encounter isnt enough to make you look like a lying freak then imagine seeing both at the same time!! 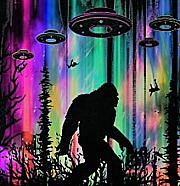 Shazzoir wrote: I'm aware that some folks firmly believe there are some kind of links with Bigfoot/Yowies/Hairy Folk and Unidentified Flying Objects (UFOs). and have read reports here and elsewhere of similar. If this sought of research keeps turning up then there is going to be no alternative to my Bigfoot/Yowie beliefs. And someone on this forum said I'M digging a bigger hole for myself........Ah, the irony. Senses, I think it's your tone rather than the content of your posts that seems to upset people. You do sometimes come across as being confrontational, which may not be your intention. sensesonfire wrote: Outstanding research Shazz. It's not a contest, and we're all on the same side, mate. It's not about being right or wrong, just about observing and recording what we can so we can learn what the truth is. Thanks for the link MW83. That is an interesting encounter. The fbi sketch artist image is very realistic. Almost looks like a hippie or wolvie from the groovy ghoulies. I wouldnt discount the hairy men at least being connected to ufos. Im sure the Wanjina and Dooligal would have had some dealings in the distant pass and maybe still. Just a theory of course.. I've read quite a few reports into this area. Seems like a lot of researchers- both active and arm chair believe there is a connection. Initial thoughts and impressions is 'nah!!'. But upon a closer look there seems to be some interesting connections. People claim they have seen them deboarding these craft and making their way into the surrounding bush. For those who know the Predator movies - this thing is quite interesting as those movies use the same concept ( minus the killings of course ) where they are planted in remote locations to do 'their job'...whatever that might be. Its a long shot and does not hold water in a realistic forum but still interesting . ChrisV wrote: I've read quite a few reports into this area. Hi ChrisV,UFO/Bigfoot connection? watch first section of this video https://www.youtube.com/watch?v=u8o2v6MCiFs. So many questions with no answers. So where we have something strange in a bigfoot area. Like to hear your opinions of the footage. I had to digitally zoom in on the object because it was in the background so it is not perfectly clear like I would want. Interesting video. Thats some weird ufo you have captured there! An article that seems interesting and thoroughly researched. I don't know if I agree with all of the conclusions, but it's an engaging read. Simon M wrote: An article that seems interesting and thoroughly researched. I don't know if I agree with all of the conclusions, but it's an engaging read. Well, I have to commend you Simon M........brilliant find. I hope this silences peoples mindless theories that these creatures (Bigfoots/Yowies) evolved from some hominid/ape type prehistoric entity.....they are not nor are they entities from another planet. 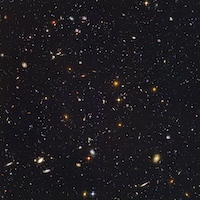 As I read this it confirmed everything in what I believe these beings are and I'm sure there is a lot more evidence out there that people do not want to acknowledge because it means they may have to embrace an entirely different theory. I do accept that these encounters are true and basically beyond most peoples comprehension. I look fwd to reading that properly when i get home.I watched Small Town Monsters, Invasion of Chestnut Ridge a few weeks ago. Some bizzare encounters there!! The link between these creatures and UFOs is of course tenuous and unproven. Much has been written but NO definitive evidence has ever been provided. Believe what you will, the jury is still out on the origins of the worldwide hairy man phenomena. Conclusive evidence is required. However, please don’t hold your breath. I won’t be! Similar stuff to Stone's account(s). Probably the same source of info. Thanks Simon. Plenty of reading there! Although I'm familiar with much of it, it's a complex subject that runs deep so there is always something new to glean particularly from the recent postings. I'm surprised there has been little or no response to Simon M's intriguing post above, is it because most have no explanation? There is so much to comment on in those pages but I'm drawing your attention to a report that I believe these creatures have shapeshifting abilities. These are a few excerpts from the book. While up on the roof, later, they noticed two forms with glowing red eyes come up from the side of the field and stand to the side of the barn. They tried to talk to them, from up on the roof, waited five minutes and then lowered the boom on them. They screamed, yelled and then ran off. At one point during the night, while taking turns shooting at these forms as they ran around on the woodline, they looked out again and saw their horse standing out in the field. At this time their horse was locked up in the barn, did not get out, and was not out in that field. But, the''form'' looked like his horse. They knew something was wrong and even though it was their horse out there, it was not their horse! They knew it was not their horse and two people at once shot at the ''horse''. The horse was in gunshot range. They had fired into something that ''looked'' like their horse. It screamed, hollered, growled and took off back to the northeast part of the field. Having come down off the roof they walked out there. There was no blood, no hair no nothing. A few strange prints were found. [Unquote]. IMO this is a testament to these creatures (Bigfoot or whatever they are) ability to shapeshift. The invasion now taking place in Northern Ohio is only part of a much greater picture. The same picture is playing in many rural towns of the United States like a broken record. Identical things are taking place. What does it all mean? It means common folk in rural America are literally under siege by phenomena that cannot be TRAPPED, SHOT, POISONED, PHOTOGRAPHED or HUNTED. Yet they are driven from their homes, are having their animals killed, and experience great fear over it all. There are times when these creatures are seen, yet leave no footprints. When footprints are found, they start from nowhere and end nowhere. Strange prints have been found in very hard ground and very soft ground nearby, the impressions impacted at the same depth. Sometimes when creatures are seen visually and are photographed their images do not appear on the film. The three-toed footprints are almost always distorted with a strange twist at the heel, leaving scuff marks behind. [Unquote]. Is this inexplicable to most people? probably, but not to me. I thought it was a great read Senses. Great illustrations as well. Very interesting how the bigfoot prints were also found. Maybe the Bigfoots werent connected to the others with the glowing eyes? Those creatures were certainly up to something in that area to be so persistant. Didnt really explain what the kid experienced or the psychic stuff though. That would have been interesting! Interesting too how the humans (police and property owners)dealt with it all . Oh puleeeeze - SERPO is a known load of BS. Known by who, Greg? … Can you prove it is all made up? Everything people write on Wikipedia is fact? Not! Look, I believe the number one thing when delving into stuff like this is to combine a healthy skepticism with an open mind. It’s fun to read between the lines looking for clues and links with known events. I’m sure Simon doesn’t believe everything about Serpo either, but like me and many others, enjoys getting his head in there. It certainly stimulates the imagination! If it’s all Sci Fi, I reckon Ray Bradbury and Arthur C. Clarke would envy the people who write some of this stuff! Do your own research. I'm talking particularly about the ridiculous "planet swap" nonsense. Greg, I post stuff only in fun as this is the 'UFO' segment of the forum. I'm not claiming any of it is true. Not a word of it. It's fun to read, however. I'm not advocating for its veracity, just presenting it because I like reading it. As far as the 'planet swap' idea, it's been around for decades. If you ever saw or see Close Encounters of the Third Kind, that part at the very end with Richard Dreyfuss' character walking along with a bunch of people in mirrored sunglasses and red jumpsuits to go onto the alien spaceship and leave with them...that's literally Spielberg copying the stories he'd been told about the same concept, and that movie was made in 1977 (the first version of the script was written in 1973). The story was already old even then, or it was in UFO circles. In fact, that whole movie was Spielberg's attempt to make a sort of 'fake documentary' based on alleged UFO sightings (his original idea was to make an actual documentary on the topic). He was heavily influenced by J. Allen Hyneck (who was scientific adviser for the movie and who'd actually worked on Project Blue Book many years before), and the title of the movie reflects that (Hyneck invented the definition of the 'types' of encounters). As you probably know almost none of the stuff bandied about regarding UFO's is new. Most of it dates back to the 1940's, and some of it is older than that. Simon M wrote: Greg, I post stuff only in fun as this is the 'UFO' segment of the forum. I'm not claiming any of it is true. Not a word of it. It's fun to read, however. I'm not advocating for its veracity, just presenting it because I like reading it. And of course, Hynek had a walk-on part (or more correctly a pipe-smoking stand-still part) in the film.